Buy online our clothing and fashion fabric 'Mattone' Brown Silk Radzemire, Made in Italy. 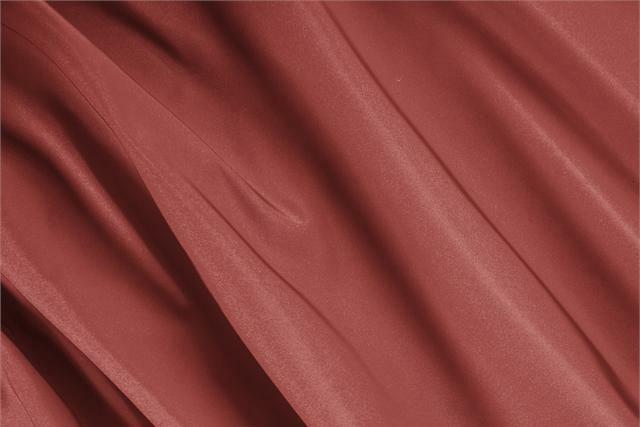 Our 100% silk radzemire, also called radzemir, radzimir or radzmir, is an elegant and luxurious fabric, with a twill weave, a structured hand and semi-lustrous appearance. For true connoisseurs, this fabric was created by the ancient masters of weaving. The amalgam of the silk warp gives shine and elegance while the weft in thrown silk creates an unique fabric. Suitable for skirts, elegant outwear, structured dresses and bridal gowns. Mattone Brown Silk Radzemire Plain fabric for Ceremony dress, Jacket, Party dress, Skirt, Wedding dress.